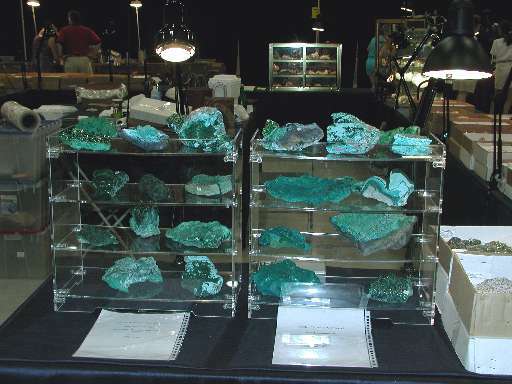 Here is one of the displays with Bulgarian and Arizona Minerals. 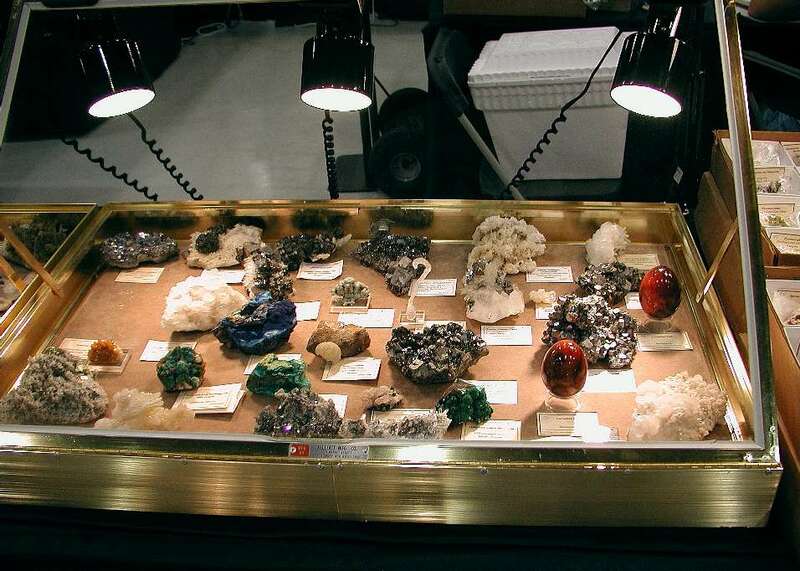 Also 2 carnelian eggs are visible. 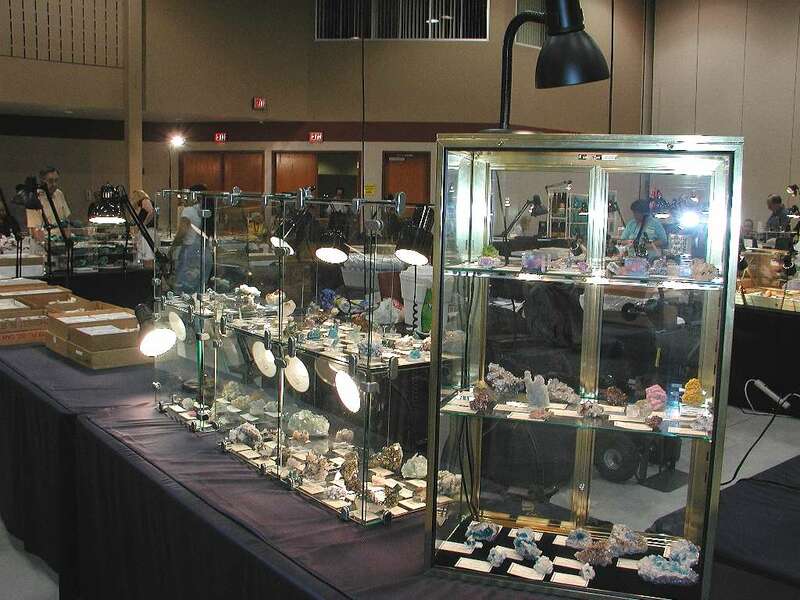 Here is a good view of the display cabinets and the type of minerals we carry. 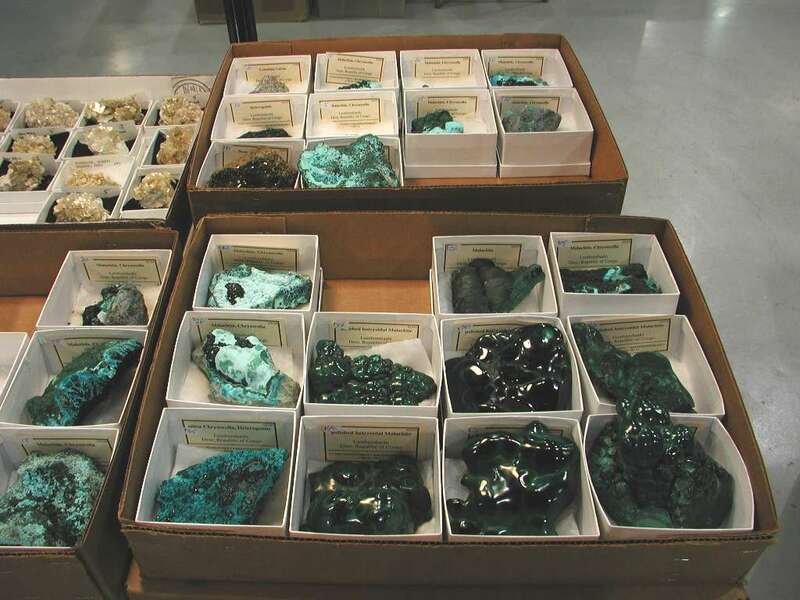 Here are some malachite and chrysacolla specimens from Lumbumbashi, Congo.